I am tingling with excitement. We are getting ready to launch. Literally! Our new aerial classes will launch you into flight in the most stunning of ways. I can hardly decide which part of the classes I love most. Is it the fresh way of doing strength work? Is it the way the support of the hammock allows my back to find a new flexibility I haven’t felt since I was 20? it the way every class ends in a cocoon of love relaxation that cleverly seduces me into the ultimate bliss out zone. 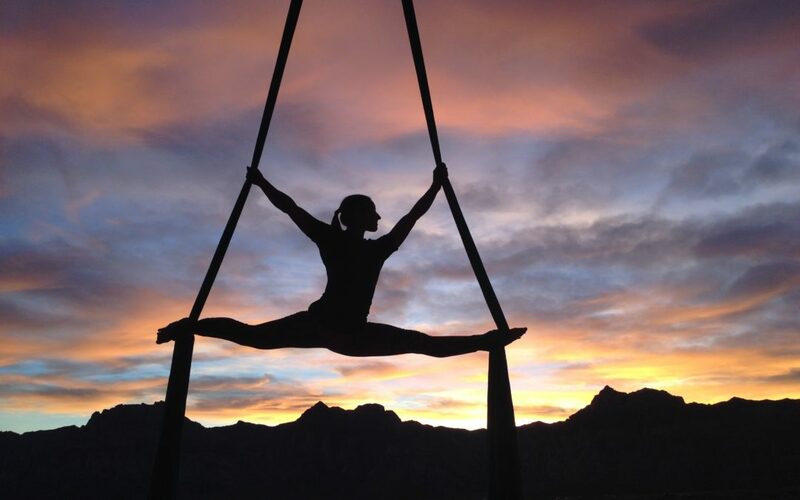 (Aerial classes release the body’s so-called “happy” chemicals: dopamine, oxytocin and endorphins.) I can’t wait to share this with you and promise you will be able to do exercises you never thought you could do! It covers all the bases. So whether you come to Transform for stretch, for strength or for soulfulness, Aerial Yoga and Pilates will have you smiling with satisfaction. We are still a few weeks away from being ready to greet you in the air, but stay tuned for our members invite only preview classes and if you can’t wait, book for our school holiday workshop!